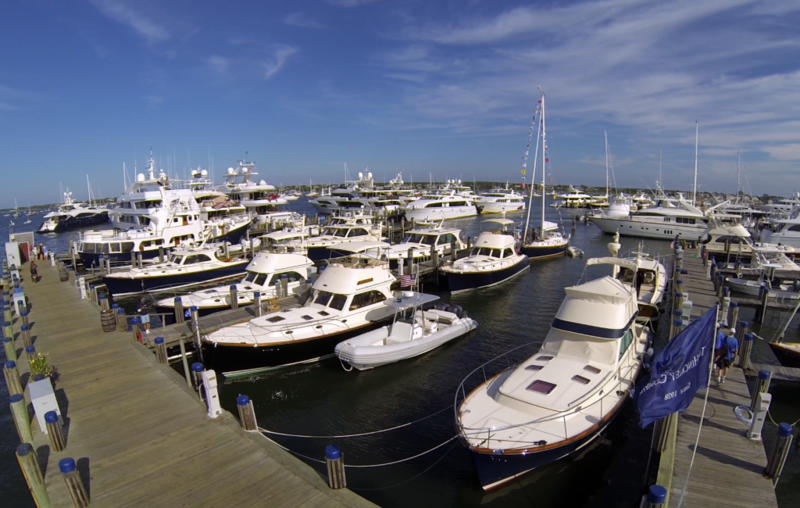 2015 marked the 8th year that owners of the spectacular Hinckley Yachts have gathered together at Nantucket Boat Basin for a Hinckley Rendezvous. 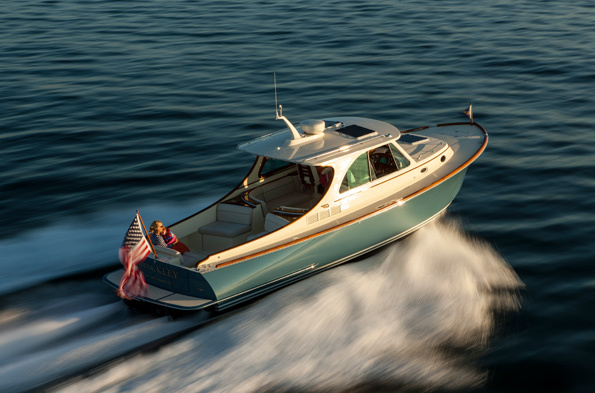 The event began with Hinckley owner Frank Stasiowski's dream of fellow Hinckley owners enjoying a few days together with their boats on Nantucket - which is his "favorite place in the world". 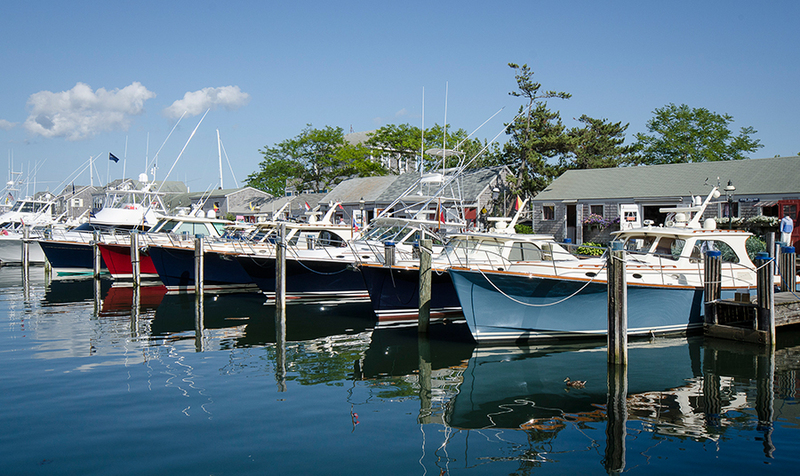 It should be noted that Stasiowski is no ordinary fan of Nantucket Boat Basin; he actually worked with the design team on the marina from 1970-73! He began organizing the rendezvous on a small scale, with just four boats and more and more joined each year following. After three years of these rendezvous on Nantucket, the Hinckley company caught on to what a fantastic experience this was and officially stepped in to coordinate various aspects of the gathering. It is a truly idyllic weekend for the Hinckley owners, with a Thursday through Sunday itinerary filled with classic Nantucket activities and experiences; cocktails and chats with certain famous Nantucket authors, social gatherings at notable Nantucket art galleries, luxury car test drives, a cocktail contest and a gala dinner at White Elephant's Brant Point Grill. Of course, there are also many opportunities throughout the weekend for Hinckley owners to gain more knowledge of their yachts, learning tips and fast fixes from Hinckley representatives, and as featured in the video above (courtesy of Take Flight Cinema) the yachts partake in a gorgeous Hinckley Harbor Parade to Wauwinet. At the end of the Hinckley Rendezvous, these guests who travel from all over the Northeast to join in the camaraderie of Hinckley ownership leave Nantucket happy and delighted with so many memories and new friends.